There are many issues facing brands and retailers who need to get vast quantities of product marketing content uploaded onto their web stores in a cost-effective and efficient manner. 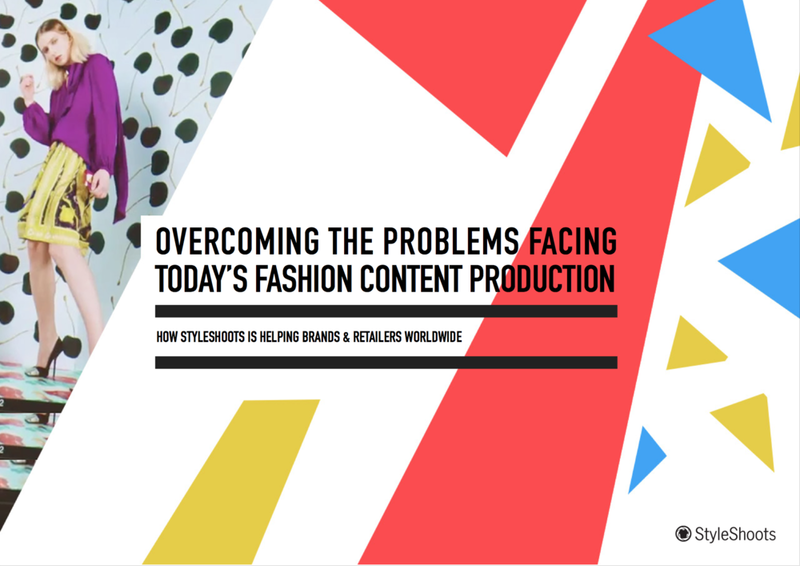 In this new whitepaper, we discuss these challenges facing modern fashion content production - particularly focusing on eCommerce - and through an evidence-based approach, showcase how a number of brands and retailers are stepping up in the ever-evolving fashion industry. In short, this whitepaper is all about how StyleShoots’ technology is making things more efficient. Whether you’re a stylist, photographer, studio manager or head of a major brand, if you work behind the scenes in fashion anywhere in the world we hope you’ll find some of what’s in here of use to you.